Tickets | A71 Entertainment presents | Market Hall Performing Arts Centre Inc.
Maura Mackenzie believes the world is hers to conquer. With her career as a concert pianist gaining momentum, it seems her beauty and talent will be strong enough to mask the demons that threaten to engulf her. But with an absent husband and two young daughters at home, her precarious sanity begins to unravel until one summer day, burning with manic energy, she makes a terrible mistake - a mistake that will change her life forever. The consequences for Maura are catastrophic: her ambitious husband runs for his life, taking the children with him, leaving Maura to lapse into a full-scale breakdown. Life as she knew it is now over. With the help of her father, Ian, Maura works to reclaim her life and waits for a miracle to bring her daughters home. But when the fates align, can the past be forgiven? 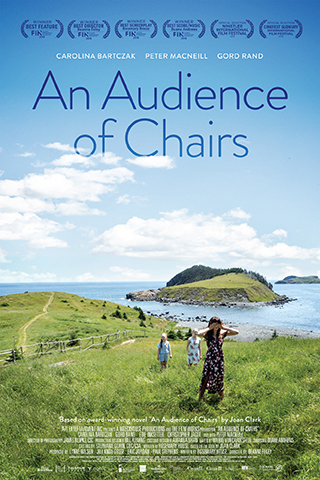 Directed by award-winning filmmaker Deanne Foley (Relative Happiness), this universal story of the redemptive power of a mother's love is adapted from the popular, award-winning novel, "An Audience of Chairs" by Joan Clark.